Almost 90% of household energy costs arise from heating and domestic hot water. With the ÖkoFEN Pellematic, your heating is highly efficient and economical. The efficiency of an OkoFEN wood pellet boiler ensures you can make savings where it matters most. The OkoFEN Pellematic is where it all began. When it was launched in 1997 it was the first type-approved, fully automatic pellet boiler on the market. It was a pioneering invention at the time and has continued to be enhanced and refined to the finely tuned performer it is today, making it the perfect choice for anyone who is modernising a property or replacing their existing boiler. The performance of the Pellematic is tailored precisely to your needs and if those needs change, through alteration or improvement to your home, it can easily adapt with you. 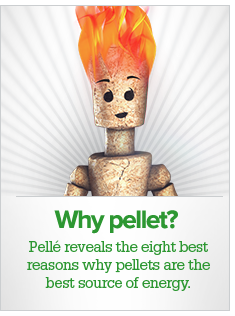 You continue to enjoy low pellet consumption and perfect performance from a fully optimised boiler. cient combustion from wood pellets. From the very beginning it was so advanced and reliable that other manufacturers adopted the technical principles applied by Herbert for their own products. Worldwide a large number of pellet heating systems operate based on this principle. The Pellematic boiler can grow with your circumstances. If you extend or reconfigure your home, or enhance your insulation, the boiler can be adjusted to your new requirements in just a few simple steps, ensuring the power you achieve is precisely the power you need. No need for a new boiler! This leads to increased efficiency; protects the environment and most importantly saves customers money. cient use of the fuel, but when it does have to be done it is a clean, simple and dust-free activity. The boiler’s controller will even tell you when the ash box needs to be emptied. 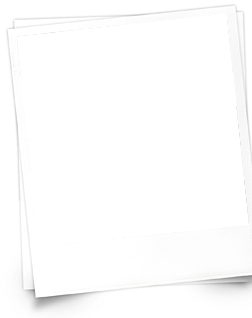 ÖkoFEN is regarded across the industry as the inventor of the modern wood pellet boiler and the reason that pellet fuel is seen as a success story. That pioneer status extends to ÖkoFEN’s commitment to environmental protection. Emissions from ÖkoFEN’s wood pellet boilers are way below legal limits and built-in sensor technology ensures they remain that way - permanently. er the ultimate in reliability. That’s why we use only the highest quality materials and most accurate control systems for our boilers. This ensures you can depend on your ÖkoFEN boiler for many years of reliable operation. In the exceptional event of a fault occurring, we will ensure a specialist pellet boiler service technician will have you up-and-running in no time. We believe you shouldn’t have to choose between wood pellet heating or solar power, or be forced to install two separate systems. "The comfort ash box only needs to be emptied approx. one to three times a year - virtually dust-free." Flow/Return Dimemsions inch 1" 1" 1" 5/4" 5/4" 2" 2" 2"